Vast, alien and frenetic, Beijing is among the world’s most impenetrable cities. On the eve of the Olympics, one of our best-travelled writers provides a cultural roadmap -- and even the odd flash of Old China. “Every year I have to buy a new map,” my guide, Zheng Xu, told me. “The city is changing too fast.” It is hard to argue with him. 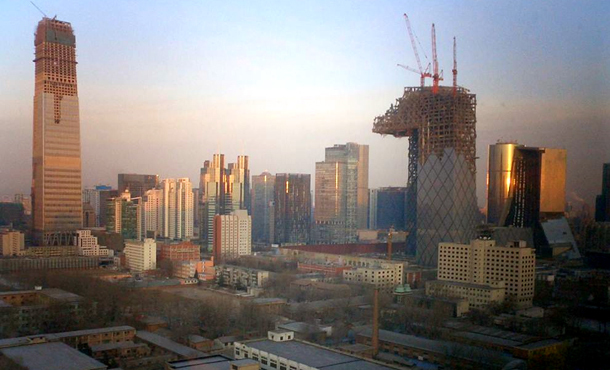 The transformation of Beijing is one of the most ambitious of any major world capital -- not only to prepare for the eagerly anticipated Olympic Games, but to create a suitably impressive capital for the next (or, some attest, newly-crowned) superpower. Everywhere you go in the capital, there is talk of expansion: a seventh ring road, the latest subway line, the vast new airport terminal and various architectural icons. Impressive though such design triumphs are, they will not change life much for visiting tourists. Sure, the journey from the airport to downtown may halve, congestion may be eased and new tracts of lush parkland and recently-planted mature trees may freshen up the air. But top-end tourists, however -- even those in town for an Olympic extravaganza -- the essentials of flawless service, stylish restaurants and cosseting spas – are more important than an overload of statistics about towering, glassy skyscrapers. Come August 8, when the capital is buckling under a few more million people, the style in which they enjoy the Games will be uppermost in many visitors’ minds. Rest assured, the capital looks set to deliver on the luxury front. A glut of upmarket hotels, including a Mandarin Oriental, Park Hyatt and the first hotel from Swire Group, will open for business this summer, joining a sumptuous Raffles, Peninsula and Grand Hyatt. Restaurants such as Shintori and Whampoa Club have arrived from Shanghai; Shiro Matsu is opening at the new glitzy Qianmen retail emporium; and The Board Room is tipped to become the city’s priciest diner. Slick barmen can now distinguish between a cosmopolitans and caipirinha; China Doll will be the club to blag your way into; and, in the city’s spas, therapists are at the ready in Zen-like surroundings to massage infusions of ginger, black sesame and green tea into exhausted bodies (after all, watching marathons can be gruelling, too). Urban chic has arrived in Beijing and thankfully, it is not all about flash cash (an accusation levelled at sister metropolis, Shanghai). This city likes to think of itself as more complex: a place where some of the hottest addresses are modest rather than bling, and where inhabitants love quoting Confucius. I swear one barman told me: “Everything has beauty, but not everyone sees it”. There will be beauty, come the summer -- and of Olympian proportions. China aims to pull off a whiz-bang opening ceremony, choreographed by Zhang Yimou (celebrated director of Hero and House of Flying Daggers) in the 100,000-seater National Stadium -- and it has spared no expense bringing in the world’s starchitects to the capital. The stadium’s exoskeleton of intertwined girders, exquisitely designed by Swiss architects Herzog and de Meuron, resembles the crackled glaze of ancient Chinese porcelain. Next door, the National Aquatics Centre by the Australian firm PTW Architects, is swathed in an intelligent, energy-saving skin and looks like a shimmering cube of giant soap bubbles. Dutch wunderkind Rem Koolhaas has built twisted twin towers for the new Central Chinese Television headquarters, which interlink with each other to form an eye-disorienting loop. Ole Scheeren, who is overseeing the project, claims it will be the second-biggest building in the world, after the Pentagon. There are also, of course, age-old reasons to visit the Chinese capital. The Forbidden City, the Summer Palace and the Temple of Heaven remain timeless draws. Classic images of Old China can also be found in the city’s parks or down the hutongs, or narrow alleys, north of the Forbidden City. Here, you can see elderly locals – Mao’s last generations – walking backwards (to restore the qi, or vital energy, they lost during the day), practising languid t’ai chi movements and drinking green tea from jam jars. It is a reminder that at the centre of a storm, there can be a moment of calm. As I climbed out of the taxi on the day I left Beijing, I muttered “man zuo a” to the driver -- an informal farewell that loosely translates as “go slowly” or “take it easy”. He laughed. We had been discussing the pace of change in Beijing. “Better to say kuai zuo a,” he replied. Go fast.